Last time I wrote about how a special type of variable star known as a Cepheid variable could be used to determine galactic distances out to about a hundred million light years. To determine greater distances we need another useful tool. This turns out to be a special type of supernova known as Type Ia. 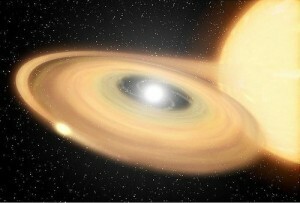 A Type Ia supernova has a unique light curve. 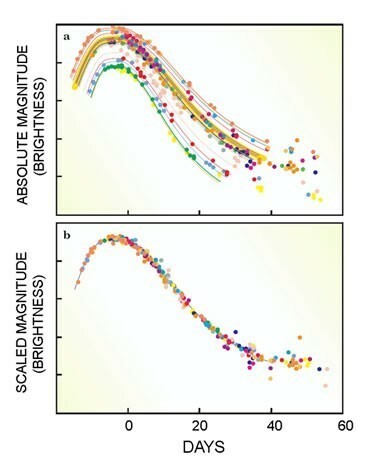 In other words if you measure its luminosity as a function of time, its brightness decays in a very particular way. This is because the energy it gives off is dominated by the radioactive decay of Nikel-56 to Cobalt-56 to Iron-56. As a result all Type Ia supernova have the same decay of brightness over time. This light curve is in fact how we identify them as Type Ia rather than some other type of supernova. 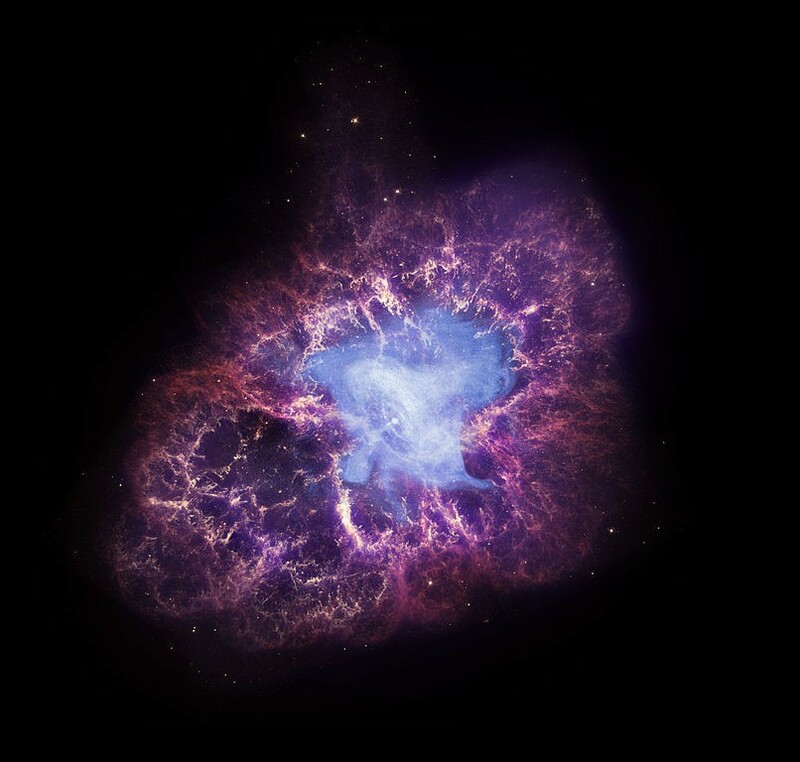 The other interesting aspect of these supernova is that they all have an absolute magnitude of about -19.3. This means we can measure their apparent magnitude and use their absolute magnitude to determine their distance. Observations from the Hubble telescope have measured Type Ia supernova more than 10 billion light years away. As a result we can measure the expansion very precisely. So precisely that we now know the universe is accelerating. The light curves of these supernova also allow us to prove that the red shift we observe in distant galaxies is really due to their motion away from us, and not due to some unknown physics. When we observe the curves distant supernova, we find that they have the same shape, but decay more slowly. 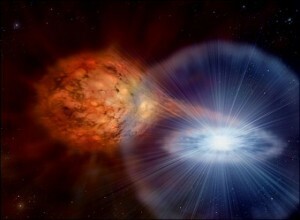 The supernova appears slowed down because of its rapid motion away from us. This time dilation effect is exactly what we would expect for a supernova that’s racing away from us. Now we just have to figure out why it’s accelerating.